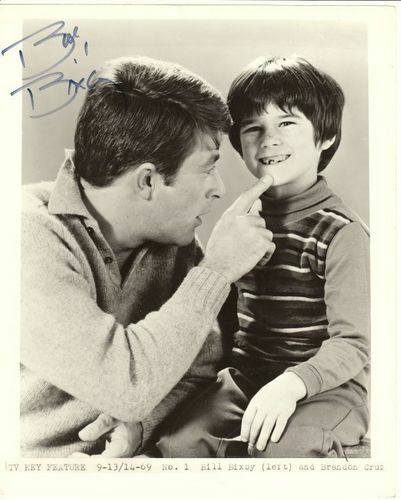 Bill Bixby + Brandon Cruz. Bill Bixby (as widower Tom Corbett) + Brandon Cruz (as his son) in the tv series 'The Courtship of Eddie's Father'. HD Wallpaper and background images in the bill bixby club tagged: bill bixby tom corbett brandon cruz eddie corbett the courtship of eddie's father tv series photo. This bill bixby photo might contain 看板, ポスター, テキスト, 黒板, サイン, 子猫, キティ, neonate, newborn, newborn infant, and newborn baby.